Home › Uncategorized › Columbus Wins the OVCC! On April 29 our Columbus team of 7 players traveled to the Dayton area and won the Ohio Valley Challenge Cup (OVCC). 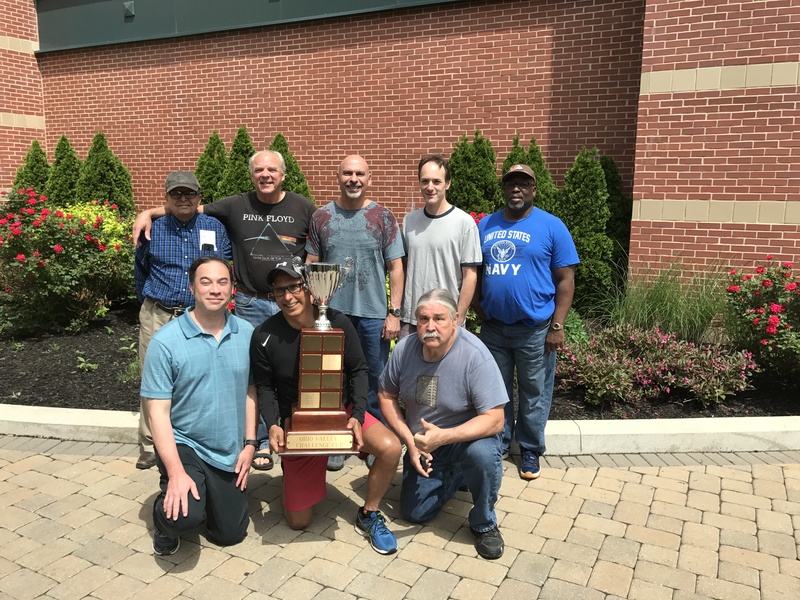 Congratulations to the winning team members: Mike Rezai, Edwin Jones, Trevor Dierkes, Maron Cury, Joe Calvaruso, Dale Berlin, and David Rearick. Special congratulations to Edwin Jones who finished with a 4-1 record and Joe Calvaruso who finished with a 5-0 record, though as we won by a single point over 3 other teams, every match victory was crucial to our team win!